FIC Board Member Sky Blue reviews the successful systems and culture Twin Oaks has built to allow it to thrive. “Twin Oaks Community has been my home off and on for the last 15 years. It’s one of the flagships of the Intentional Communities movement, and yet is fairly unique as one of only a handful of secular, income-sharing communities. 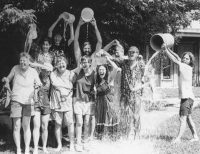 Twin Oaks has been an active experiment in solidarity economics since 1967. At almost 50 years old it’s a successful, viable model, and, like all solidarity economy projects, it’s a work in progress. Read Sky’s entire article, ‘Why should you care about Intentional Communities?’ on GEO Blogs. ← Where to Find Happiness?